About 10 kms from Ooty. 1 Acre – 45 Lakhs. 1/2 Acre – 30 Lakhs. Call now +91 9842203478 and get other best offers !! Situated approximately about 1985 meters in the lush green hills of The Nilgiris, the spectacular hill station literally means the lines of the house of the kotas. These tribes who are traditional artisans who are experts in the art of pottery and terracotta baking still inhabit in the slopes of The Nilgiris. Recognized as one of the oldest hill station in The Nilgiris is situated about 16 kms from Ooty and about 24 kms from Coonoor. This spectacular Hill station enjoys a pleasant climate all through the year as the Dodabetta range protects it from the south – west monsoons. Surrounded by the beautiful tea estates and the thick impenetrable shola forests Kotagiri is the perfect holiday destination and perfect place to nature lovers. The people residing here are mostly Badagas along with the traditional tribes the Kotas and also immigrants of other parts of Tamilnadu and Kerala. The chief language spoken is Badaga and Tamil. Locals here are very friendly and interact with anyone who visit Kotagiri. Kotagiri is accessible both by rail and road, it is well linked by with the other important places of Tamilnadu through road. Regular bus services connect this hill resort fom Ooty, Mettupalayam and Coonoor. Kotagiri can be reached by air until Coimbatore most flights are available till Coimbatore and from Coimbatore it takes about 100 kms and a 3 hour ride either by bus or a taxi. Local transportation includes Mini buses, taxis, auto rickshaws. The Spectacular Hill Resort has several breathtaking places to visit, the tourist attraction includes the Catherine falls, the Kodanad view point, Elk Falls, The echoing Valley of Kookal, the Long Wood Sholas which is a paradise to animals like Bison, wild boars, deer’s and even elephants and variety of birds. The Golf course and the Blemishing Green Tea estates are the most pleasing sights to be seen in Kotagiri. This unique double cascade which owes the beauty of the nature environs is a breathtaking tourist attractions in the hill resort. This impressive water falls, falls from an impressive 250 feet. This vantage point allows to appreciate the awesome power of mother nature has contained below the landscape below the cascade. On the way to this falls stands the historic symbol of the first house of the Europeans, this falls is also one of the spectacular places to be seen in Kotagiri. This falls is situated about 7 kms from the town. This awesome Pillar and rock still stands as a night mare to rock climbers, standing about 400 meters tall lies about 20 kms from Kotagiri. Situated about 3 kms away from the town, these shoals are maintained as one of the great wildlife reserves in The Nilgiris, perfectly peaceful and the untouched forest traits are the home to variety of birds and animals like elephants, bison, wild boars, and also tigers and leopards. SOLD OUT. +91 9842203478 We have other Plots. Call Now to Reserve your Other Plots in Ketti. Plots Moving fast in Ketti Valley, The Nilgiris. 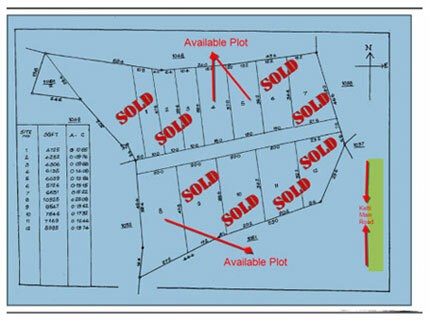 Plots SOLD OUT in Ketti, Ooty ! Call now +91 9842203478 and get other best offers!! Ketti is a small town nestled in a large valley of the same name. It is located in the The Nilgiris District of Tamil Nadu State, Southern India and is a Revenue Village of Coonoor Taluk. Upper Ketti is another village called Yellanahalli, and is located on the main Coonoor to Ooty road. This is the location of Needle Industries India the manufacturers of the internationally branded ‘Pony Needles’. The town itself is not much more than a village. It has a rough estimated population of a few thousand. the people here are extremely friendly and welcoming, like elsewhere in the rural areas of the Nilgiris. Most of the people living here are manual labourers. Agriculture, rearing livestock, masonry constitute the majority of the work done by the individuals in this place. In addition to this, they also take up jobs in the surrounding industrial establishments, such as the Needle Industries, the mushroom factory, Ambica tea factory, Mini flower garden near Palada bus stop and the various educational institutions (these include the CSI College of Engineering, the Laidlaw Memorial School/ Georges Home and the CSI Middle School). The valley is the last major valley en route to Ooty along the Ooty-Coonoor highway. It is very scenic and sports a variety of flora. However, due to the extensive development of the valley in the recent years, the fauna present here has dwindled to a select few. There have been sightings of boars, highly rare instances of tigers and elephants, though. The people present here are mostly Badaga with certain immigrants from other parts of Tamil Nadu, Kerala and Karnataka. The chief language spoken here is Badaga, although many people understand Tamil, Malayalam and Kannada. Religion practised here is mostly hinduism. However, strong influences remain of the christian missionaries who lived here during the early 1900s. Religious influences though, however strong, do not hinder the relationships fostered between the members of different backgrounds. People generally get along well with one another. To put it simply, it is a rustic society, steeped in tradition and ancient times. Development and modernization is a far cry for this valley, much like most of rural India. Ketti is accessible by rail or road. The toy train (an extension of the Chennai-Coimbatore Nilagiri Express, recently declared as a national heritage) can be taken from the Mettupalayam station (at the foothills of the Nilgiris) to the Ketti railway station. This is a long, yet scenic journey. To reach Ketti by bus, one just has to board a bus from Mettupalayam to Ooty and alight at the ‘Ketti’ stop past Coonoor. An alternative to this is to alight from the bus at ‘Yellanahalli’ on the Coonoor-Ooty National highway and then to catch one of the local mini-buses which ply down into the valley. Incidentally, the train journey from Mettupalayam takes about four hours, while the bus journey takes just three hours. However, people on vacation generally prefer to take the train for the experience alone. Ketti has its own police station, probably the only one in the entire Ketti valley. It services all the towns, villages and hattis in the entire valley. The nearby town of Santhoor(located at the lowest point in the valley) has a post office. The State Bank of India operates a Ketti valley branch, which is situated near the CSI College of Engineering. Public pay phones abound in this region, due to the requirement of the students of the neighboring institutions, most of whom are hostellers. A number of private mini-bus services ply through the various settlements in the valley, giving access to otherwise inaccessible regions. The entire region is almost completely devoid of internet connectivity, save the institutions and few home connections. There is a government Hospital is located near the CSI College of Engineering. Railway station is located in the entry of Ketti town. The Lawrence School, Lovedale, has a sprawling campus of 750 acres (3 km²). Lovedale, six kilometers (3.7 miles) from Ootacamund, is located at a height of 7200 feet over sea level, slightly lower than the Dodabetta peak (altitude: 8000 feet), the highest peak of the mountain ranges of the Niligiris. The school campus is divided into prep school, junior school and senior school based on the classes.